Atlantic Wedding Video is a video production company that specializes in wedding films and special event documentaries. Our quality, personable style, and flexible options are things that our customers have valued the most. 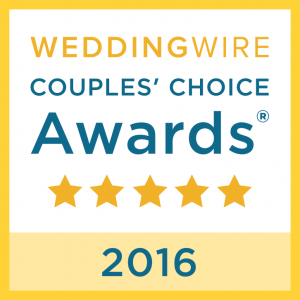 Atlantic Wedding Video serves the greater Washington, DC and Richmond, VA area. We film and edit with state of the art equipment and catch your event with up to 5 cameras if needed. We deliver a range of different styles. Themes ranging from cinematic to traditional, documentary to journalistic can be applied. Listening to our clients’ needs and expectations is always key for us. Having your day filmed well and professionally lays ground for excellent editing. We consider all details, from colors to audio quality. Creating a highlight, feature, or full documentary from the ceremony to the reception, which could include interviews, bride and groom getting prepared, speeches, and any other happenings will make your memory of your special day a true treasure. After capturing your event with an eye focused on all details, we move into post production. Working with modern and fast computers that really can deliver, we put pride in telling a compelling story of your day. We like to create something that could be watch over and over again, with a pulse and feeling of real moviemaking. Call Atlantic Wedding Video today for a free consultation for your high end HD wedding video! Share your wedding event with family and friends far away. Contact us to learn more about how you can let all your friends and loved ones attend your wedding, no matter where they are! Wonderful experience and results! I could not be happier with the video of our big day. When we started planning our wedding, we debated getting a videographer. We are so, so happy that we went with Atlantic Wedding Video.